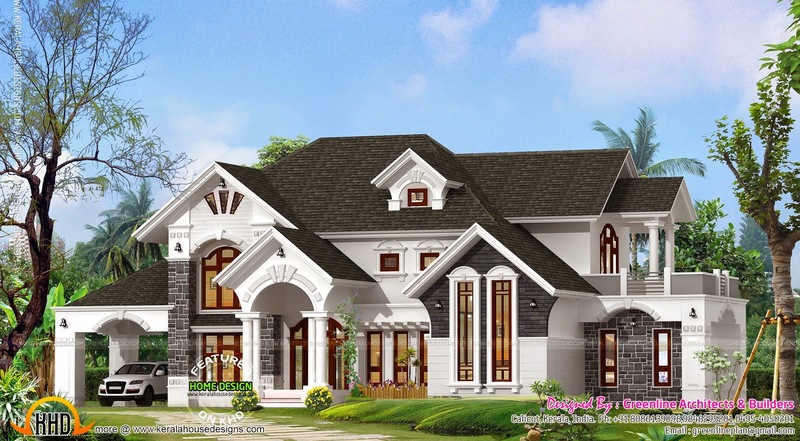 3850 square feet (358 square meter) (428 square yards) 5 bedroom luxury exterior. Designed by Greenline Architects & Builders, Calicut, Kerala. Ground floor : 2450 sq. ft.
Total area : 3850 sq. ft.